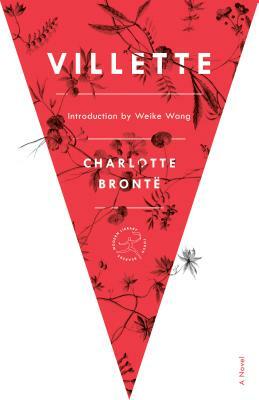 Arguably Charlotte Brontë’s most refined and deeply felt work—Virginia Woolf called it Brontë’s “finest novel”—Villette draws on its author’s own experiences as a governess, and her profound loneliness following the deaths of her three siblings. It tells the story of parentless, friendless Lucy Snowe, who flees from an unhappy past in England to begin a new life as a teacher at a boarding school in the small French town of Villette. Soon Lucy’s struggle for independence is challenged by both her friendship with a worldly English doctor and her feelings for an autocratic schoolmaster. Brontë’s strikingly modern heroine must decide if there is any man in her society with whom she can live and still be free. Charlotte Brontë (1816–55) grew up in a remote parsonage on the moors of Yorkshire, where she invented fantastical stories alongside her sisters, Emily and Anne, and brother, Branwell. In 1847, the sisters published their first novels, Jane Eyre (Charlotte), Wuthering Heights (Emily), and Agnes Grey (Anne), under male pseudonyms to commercial and critical success. All three of Charlotte’s siblings died within the next two years; left alone, she wrote two more novels, Shirley and Villette, while caring for her ill father. She married in 1854 and died during pregnancy on March 31, 1855.